To mark Trustees' Week (12-16 November), Dudley CVS is inviting new and existing trustees, or people that are curious about being a trustee to a special drop in session where they can learn more about what being a trustee means. Trustees are the people that are in charge of a charity and they play a crucial role volunteering their time to make sure their charity does everything it is set up to do, meets its obligations and legal duties and works efficiently and effectively to benefit the community. Trustees make important decisions about how their charity works and are ultimately responsible for everything it does. So feel free to drop in for a cuppa and a chat anytime between 10am and 1pm on Thursday 15 November in the DY1 coffee shop. We do great stuff in Dudley! I consent to receiving a monthly email newsletter from Dudley CVS and occasional special emails* containing news, information, opportunities, events and activities. *Occasional emails will be very infrequent and will typically be to let you know about short notice funding opportunities and events. Dudley Council for Voluntary Service (CVS) is dedicated to supporting caring, vibrant and strong communities across Dudley borough. Dudley CVS is a registered charity (no. 517766) and company limited by guarantee (no. 1998105). The registered address is Dudley CVS, 7 Albion Street, Brierley Hill, DY5 3EE. We’re committed to maintaining the trust and confidence of the people we work with. This notice explains what information we ask for when you sign up to our email or hardcopy bulletin, how it is stored, the limited circumstances in which we share this information and how you can remove your information. 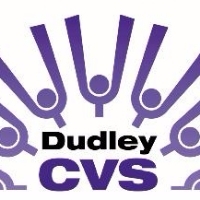 Our organisation’s legal name is: Dudley CVS. Our email address is admin@dudleycvs.org.uk. Our postal address is 7 Albion Street, Brierley Hill, DY5 3EE. Our data protection contact is: Andy Gray, Dudley CVS Chief Officer. If you feel concerned about the way we have handled your data, firstly, you need to write to our data protection contact. If you still have concerns following a response from Dudley CVS, you can contact the Information Commissioner via their website: https://ico.org.uk/ or by calling: 0303 123 1113. As part of the registration process for our email and hardcopy bulletin, we collect personal information. We use that information for a couple of reasons: to tell you about stuff you’ve asked us to tell you about; to contact you if we need to obtain or provide additional information; to check our records are right and to check every now and then that you’re happy and satisfied. We don't rent or trade email lists with other organisations and businesses. For our email updates, we use a third-party provider, Interests Me, to deliver our newsletter. We gather statistics around email opening to help us monitor and improve our e-newsletter. For more information, please see Interests Me’s privacy notice at interests.me/signin. You can unsubscribe to general mailings at any time of the day or night by clicking the unsubscribe link at the bottom of any of our emails or by emailing admin@dudleycvs.org.uk. For our hardcopy bulletin sent by post, we store your name and postal address. This information is kept securely on the Dudley CVS server, which is password protected. To unsubscribe from our postal bulletin, please email admin@dudleycvs.org.uk or call us on 01384 573381. We use your information collected from the newspage only in an anonymised form and in order that we can understand how many people have seen or shared our information. •	Your consent. This means that you consent to supply us with your data and that you consent to receive emails from us. If you do not consent, we will not be able to email you and you can withdraw your consent at any time. •	Our legitimate interests (if you are a member of our organisation, a volunteer, a registered client, trustee or similar). You can set your browser not to accept cookies and the above websites tell you how to remove cookies from your browser. However in a few cases some of features may not function as a result. You can withdraw you consent by unsubscribing from our email updates at any time by clicking the unsubscribe link at the bottom of any of our email updates. Alternatively, email your request to withdraw consent to admin@dudleycvs.org.uk. To unsubscribe from our hardcopy newsletter, please email your request to admin@dudleycvs.org.uk or call 01384 573381. We want to make sure that your personal information is accurate and up to date. If your email address changes, please click ‘unsubscribe’ at the bottom of any previous emails, and re-subscribe with a new email address. To report any other changes, please email, write to us or telephone us on 01384 573381. In order to turn off cookies, you may change your browser settings (for website cookies) or your email service provider settings (for tracking cookies in email newsletters). Please note that this may affect the way our emails or our news page looks or performs. This privacy notice was last updated May 2018. It will be kept under regular review.